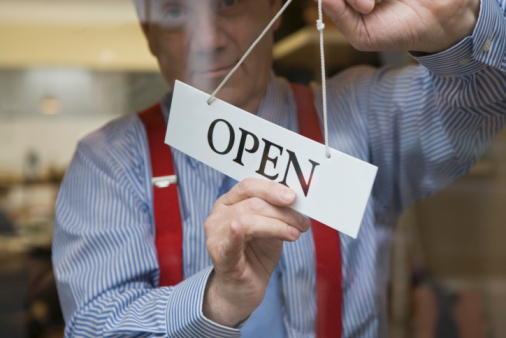 If you have that burning desire to start a business, you have a few options. You may buy an existing business, start one from scratch or become a franchisee. Each option has pros and cons, becoming a franchisee makes you a partner in a proven business structure. Franchising refers to an arrangement in which a party, the franchisee, buys the right to sell a product or service from a seller, the franchisor. The right to sell a product or service using the franchisor’s existing branding is the franchise. There are two major types of franchises. A product and trade-name franchise involves the distribution of a product through dealers. For example, auto dealerships are product and trade-name franchises that sell products produced by the franchisor. Business format franchises include everything needed to start and operate a business, in one complete package. Business format franchises provide the product, trade names, operating procedures, quality assurance standards, management consulting support, and facility design. Many familiar convenience stores and fast-food outlets, for example, are franchised in this manner. People are attracted to franchises because they have proven to be extremely successful. Franchisees combine the benefits of business ownership with the brand name, experience, and economies of scale provided by the established corporate franchisor. In fact, good franchises generally have a higher success rate than other types of businesses. Minimal risk – A reputable franchise has a proven track record. Name recognition – A well-known name can bring customers in the door and provide a competitive edge for the franchisee. Comprehensive Training – A franchisor can provide a training program to teach the franchisee about the operation and industry, even if they have no prior industry experience. Support – A franchisor can provide experience based support and problem resolution capabilities for its franchisees. Economies of scale – Cost savings on items for bulk purchase orders made by the franchisor. Advertising – Cooperative advertising programs can provide national exposure at an affordable price. Financing – A franchisor will generally assist the franchisee in obtaining financing for the franchise. In many instances, the franchisor will be the source of financing. Lenders are more apt to provide financing to franchises because they are less risky than businesses started from scratch. Site selection – Most franchises will assist the franchisee in selecting a site for the new franchise location. You have that fire in your belly and you are ready to open a business. It’s time to ask yourself… “is buying a franchise the right move for me?